You're in so many directions. You're a mom, a home keeper, maybe a wife, and an employee. You also have ambitious goals to grow your business on the side. Because you have so many responsibilities, you don't feel you have all the time you need to do all the things in your business. How are you? They ask. "Oh I'm great, just busy." Why do we say this? Why do we take pride in being busy? No more. You don't have to be busy to be successful and get the fulfillment you want. You can do less. And it is better. 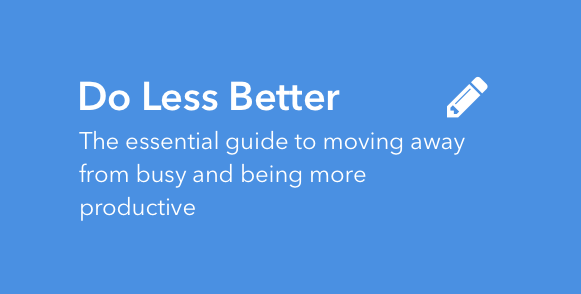 In this fast-action guide, I'm breaking down exactly how you can push aside the unnecessary busywork so you can achieve more by doing less. You're going to do less better and see yourself grow to places you've never been.